Black Panther, named the 3rd top grossing film of all time, has created lots of buzz since its release on February 16, 2018. The movie was highly anticipated to be one of the top movies of the year. Many famous names were in the movie, such as Michael B. Jordan, Lupita Amondi Nyong’o, and Daniel Kaluuya from Get Out. All kinds of records have already been broken by Black Panther, including ‘biggest solo superhero movie of all time’, ‘biggest non sequel opening weekend’, and ‘biggest opening weekend for a movie directed by a black person’, according to Forbes. Another thing that had crowds excited was the original soundtrack by Kendrick Lamar. The album was inspired by the film, and many of the songs made appearances throughout the movie. The music in the background of the movie added a fresh sound to the movie. Ordinary scenes were made exciting by the various genres of music used throughout. 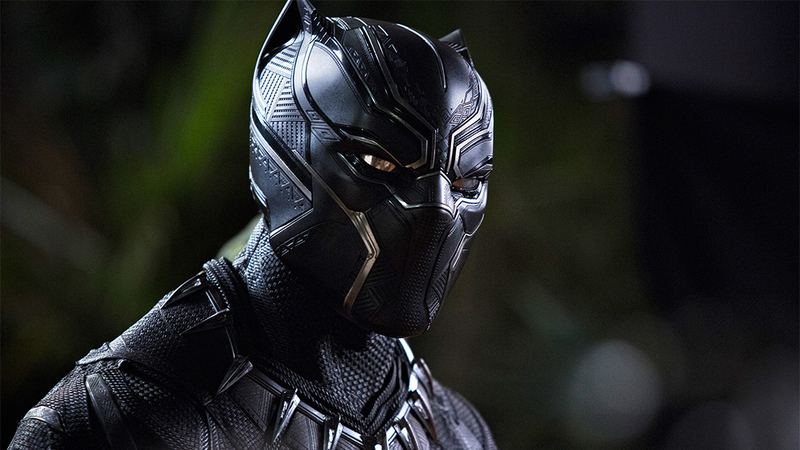 Black Panther is about a young king named T’Challa (Chadwick Boseman) struggling for power in the country of Wakanda, which is a fictional place in Africa. T’Challa fights for power over Wakanda with an outsider named Erik Killmonger. Killmonger is portrayed by Michael B. Jordan. Many classic action movie scenes take place in Black Panther, including a high speed car chase, an almost fatal battle over a waterfall, and a robbery. These scenes, although used in almost every action movie, were redone in a modern way that included pop culture references. My expectations were very high for Black Panther, because of all of the excitement around it. After having watched it myself, I can say that it lived up to the hype. I thought it was not only a good “superhero” movie, but just a good movie in general. The plot was interesting to follow throughout the whole movie, and the visuals and action made it exciting too. I was not disappointed by Black Panther at all.